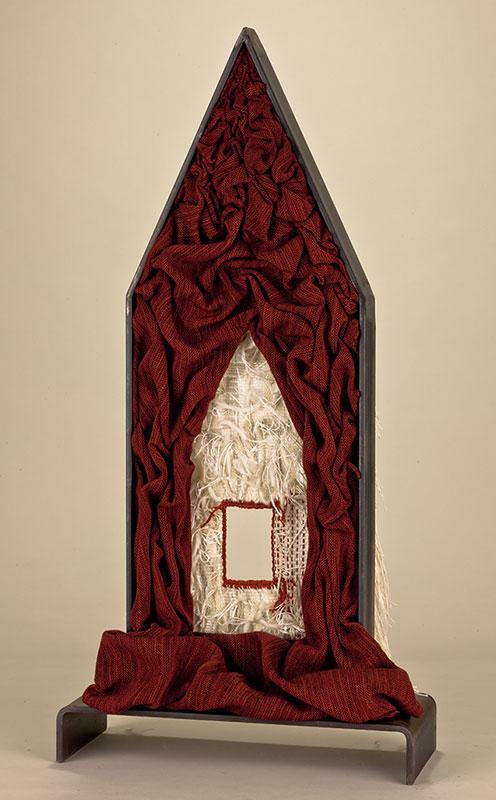 "Home"; tapestry; cotton, rayon, silk, fiber-reactive dyes; 20" x 17". 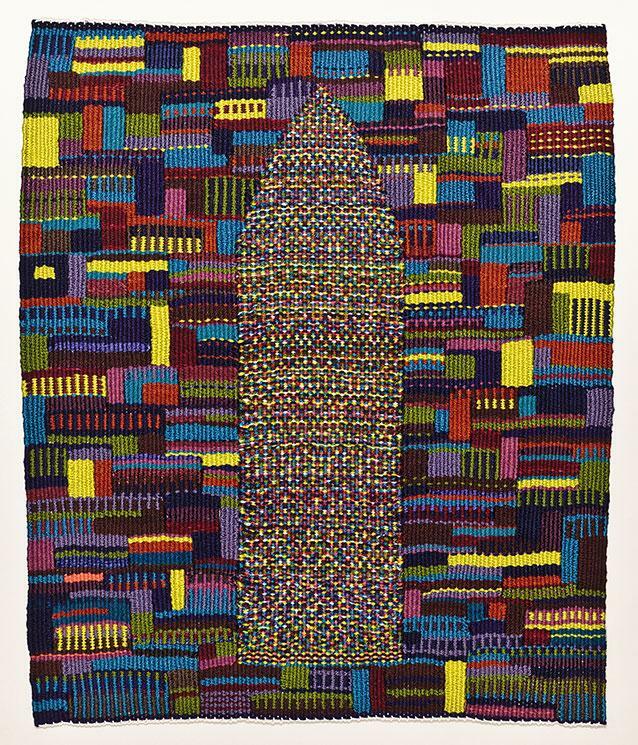 "Between"; tapestry; cotton, rayon, silk, fiber-reactive dyes; steel; 9.5" x 26" x 2". 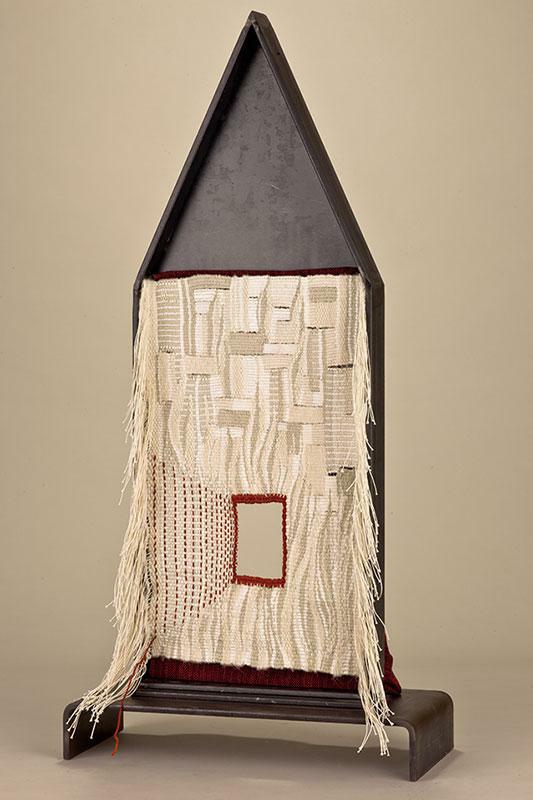 "Nest"; steel and woven fine silver; 57" x 12" x 12" overall. 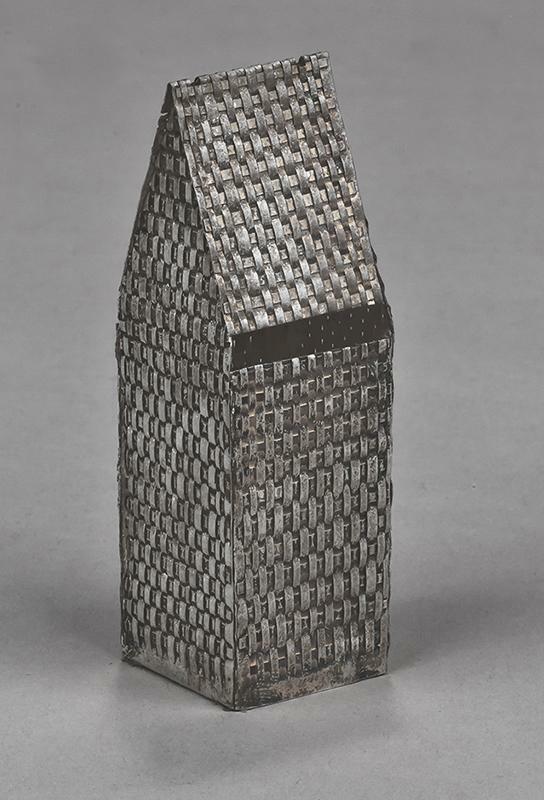 "Nest"; fine woven silver (detail); 3" x 1" x 1". 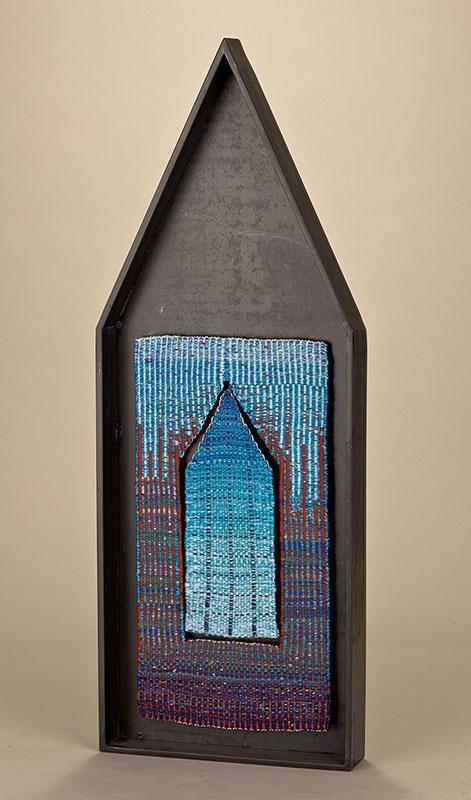 "Through the Fire"; tapestry, warp-painted weaving; cotton, rayon, silk, fiber-reactive dyes; steel; 14" x 28.5" x 6". "Through the Fire" (alternative view).